Conrad Fort Lauderdale Beach is a hotel and wedding venue in Fort Lauderdale, Florida that overlooks the Atlantic Ocean. Set between the palm-shaded boulevards of Sunrise and Las Olas on Fort Lauderdale’s exclusive North Beach, this hotel offers intuitive service, contemporary amenities, luxuriously appointed accommodations and the refined sophistication of beach resort living. 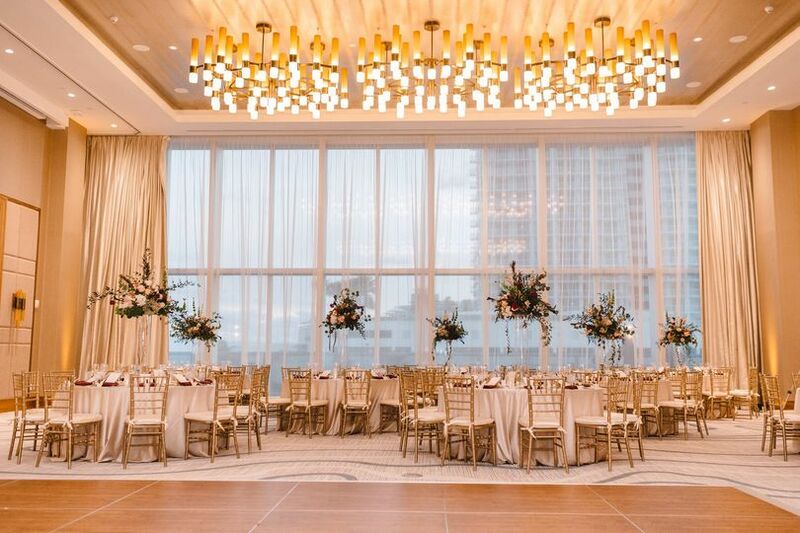 Celebrate the wedding of your dreams with stunning ocean views, an inspired setting and a custom-tailored experience at the beautiful Conrad Fort Lauderdale Beach. 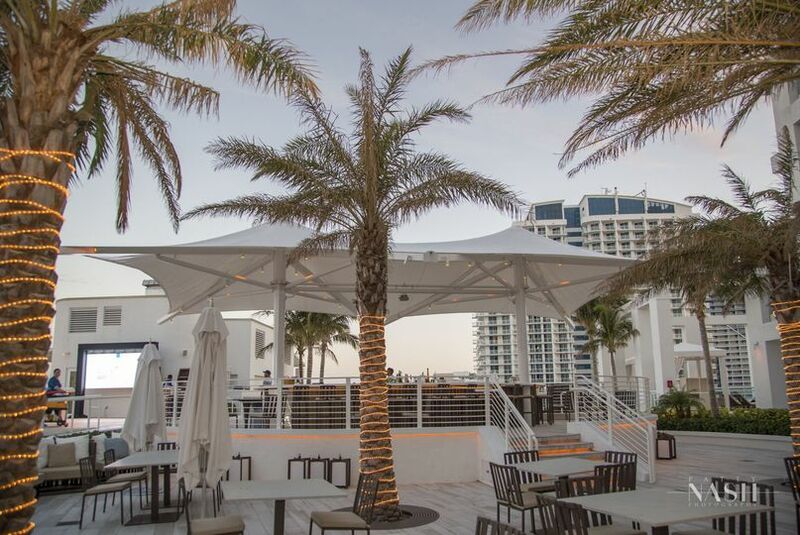 Conrad Fort Lauderdale Beach offers over 20,000 square feet of indoor and outdoor function spaces, including spectacular oceanfront settings. 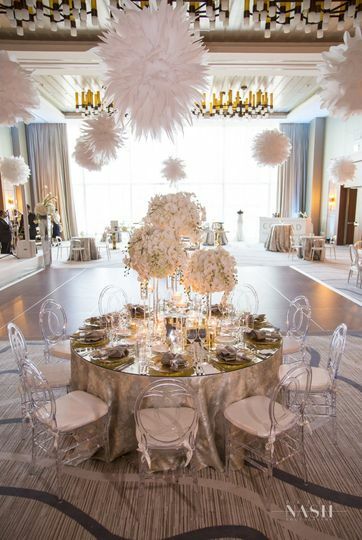 Seven event spaces include an extravagant ballroom, intimate suites and meeting rooms, and spaces with panoramic Atlantic Ocean views that can accommodate up to 300 wedding guests. Conrad Fort Lauderdale Beach provides four sophisticated restaurants with worldly-inspired specialties, flavorful seafood and hand-crafted cocktails. Event menus can be customized depending on your personal culinary tastes. This venue offers suites with breathtaking views, stylish kitchens, indulgent room service and signature extras. Enjoy in-suite dining 24/7, a pillow menu and the option to explore the surrounding area via the Hilton Honors app. Float your troubles away in their stylish heated outdoor pool, whirlpool and private cabanas with Atlantic Ocean views. Indulge with professional beauty therapists at their tranquil spa, or stay fit in their state-of-the-art 24-hour fitness center. Conrad Fort Lauderdale Beach is only a block away from more than four miles of palm-lined sands and ocean paradise at Fort Lauderdale Beach. 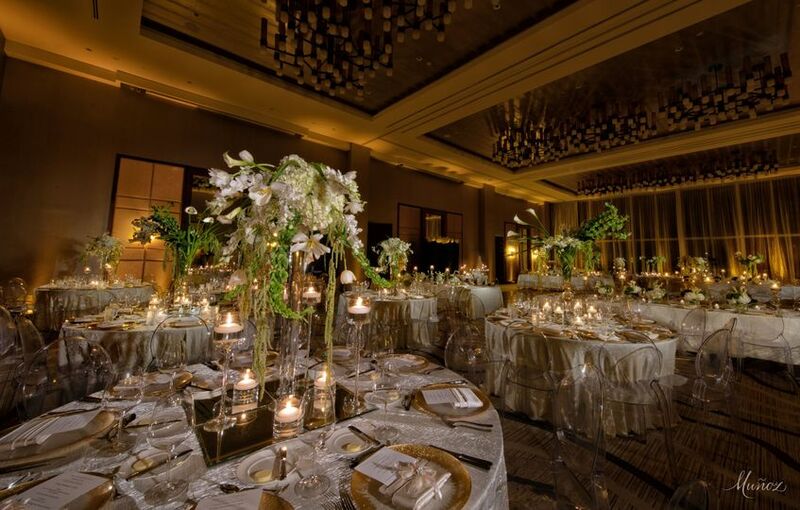 This venue is just minutes from the Museum of Discover and Science and Fort Lauderdale-Hollywood International Airport. 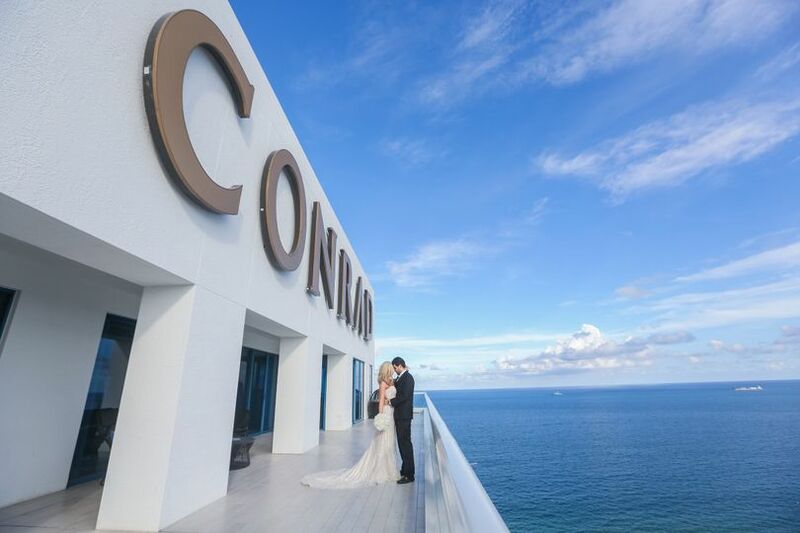 We originally, in our heads, were ready to get married at the Ritz or the W in Fort Lauderdale... we saw a pop up that the Conrad just opened 3 days ago. We said why not just go look... I went to the meeting and met with Ashley Gordon, I did the entire tour with her knowing I still wanted to get married at the Ritz or W. I was walking through the Conrad hoping there was one thing that would turn me off. I left went to the Ritz and called Ashley Gordon and immediately apologized and said please can do we this tour again with an open mind. Once again, we did the tour and again not only did I not find one flaw, but fell more and more in love. We fell in love with the staff, Ashley Gordon, the new contemporary feel, and the over all atmosphere. We planned for 17 months with Ashley and I might add we are not the easiest customers. Our hopes were big and our requests were bigger. ASHLEY GORDON MADE OUR DREAMS COME TRUE. Check out our pictures because they speak for themselves. WE HAD THE MOST MAGICAL WEDDING EVER!!! And it would not have happened without Ashley Gordon’s passion and the staff of the Conrad. 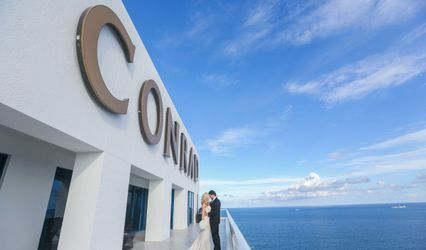 Only get married at the Conrad! I guarantee you will have the best wedding ever. Perfect Wedding Venue in Every Way! My husband and I could not have dreamt up a better wedding venue and team! 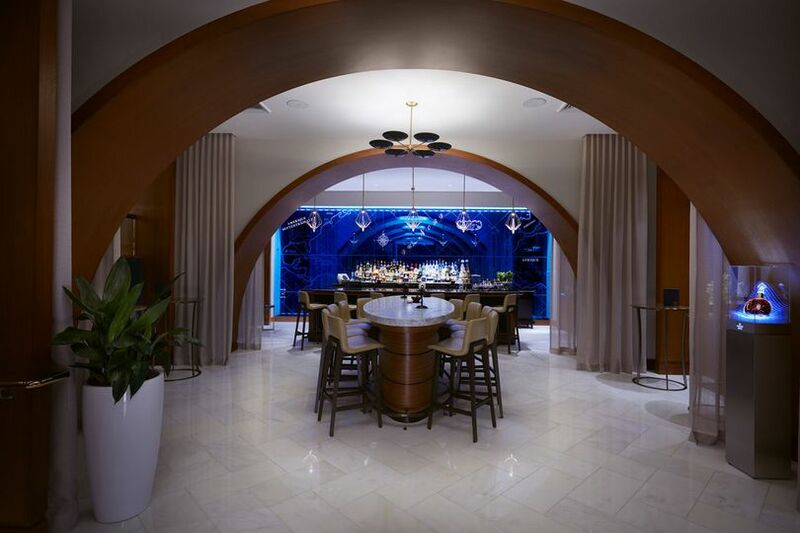 Everything about the Conrad Fort Lauderdale Beach surpassed our expectations. 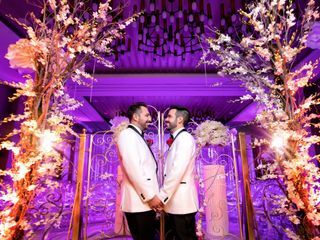 With most of our guests traveling in from out of town, the Conrad was not only our ceremony and reception venue, but it was also our home base for the entire wedding weekend. To start, the hotel property is brand new, and the guest rooms are something every other hotel surrounding it should be envious of. Our guests could not stop talking about the beautiful property, great location, and incredible service. As the bride/host, it was so calming to know that my guests were being exceptionally taken care of all weekend long. This excellent and thoughtful service was matched by the catering and events team as well. 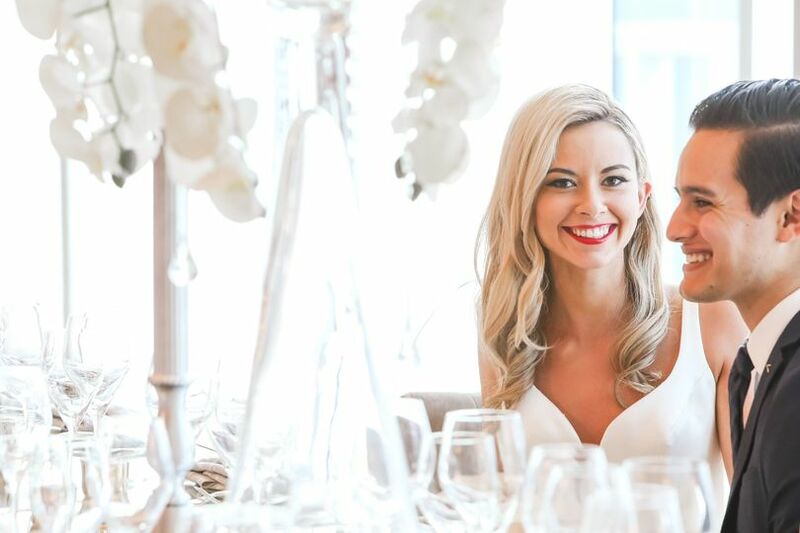 Senior Catering Sales Manager, Ashley Gordon and her team went above and beyond to make sure our day was exactly what we wanted (and then some), and completely stress free. Ashley was there to help guide us through the planning process. It was easy to see that she loves what she does, and genuinely wanted to make sure we were happy. She loves her job and it shows. On our wedding day, Ashley was there (well into the evening) to make sure everything went perfectly. 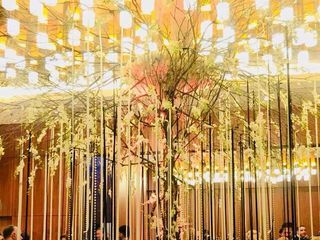 Many other members of the staff from the valet, to banquet captions & bartenders, and even housekeeping worked in harmony as a team to seamlessly made every guest feel welcome. Each request we asked for from the hotel was a pleasure rather than a burden. 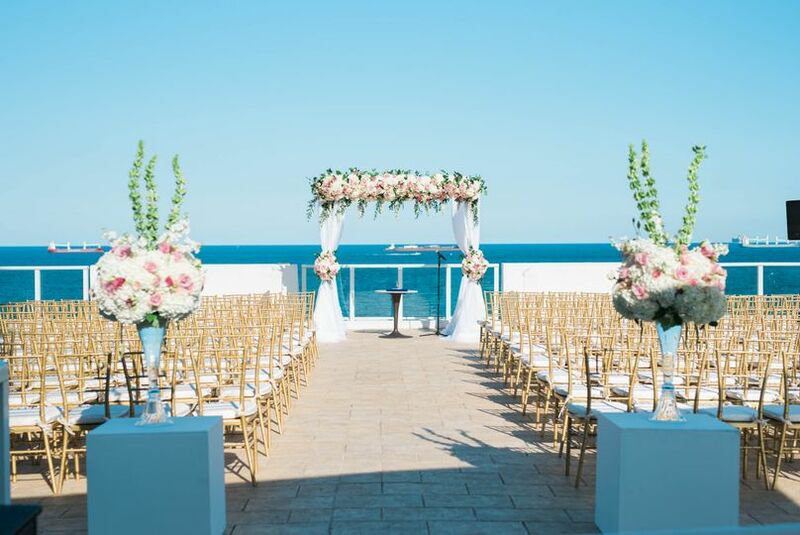 As far as the wedding venue space goes, the ceremony space offers breathtaking panoramic true oceanfront views. 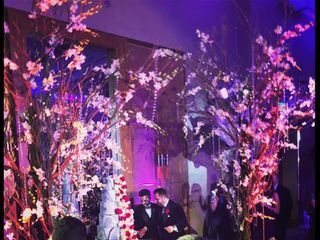 The reception space is perfectly modern yet warm, and can be fully decorated, or look absolutely gorgeous even with minimal decoration. The cocktail hour hors d’oeurves and the reception dinner was something you would read about in Bon Appetit. Each course was prepared with love to match the events of the evening. A wedding steak is not just a wedding steak when done at the Conrad, a visual masterpiece only outdone by the taste. 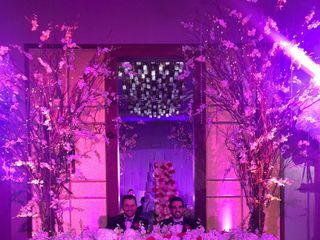 Thank you to everyone at the Conrad for making our wedding weekend so special, we are so grateful to have worked with such a special team!! 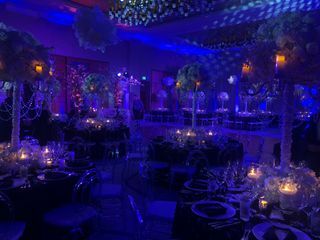 My March 17th wedding at Conrad Fort Lauderdale Beach was an absolute dream thanks to the incomparable Ashley Gorden and the rest of the tremendous catering and hotel staff. 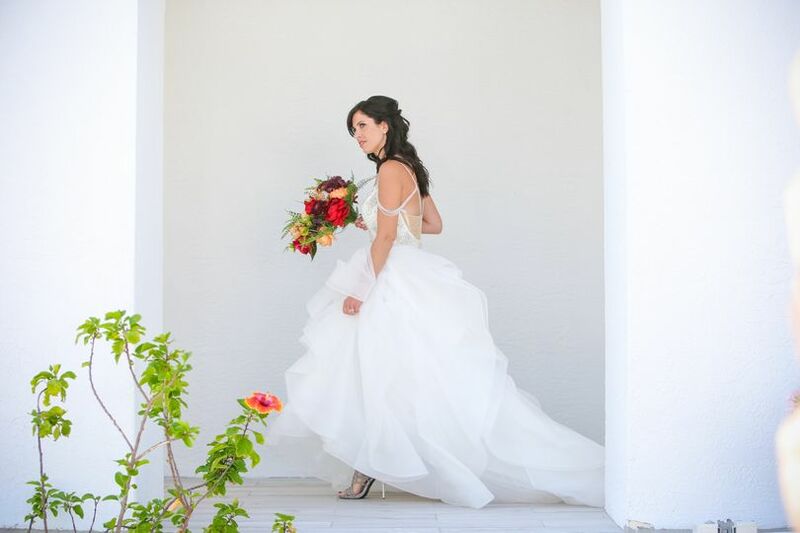 As our wedding venue had to be switched only several months prior to our event due to Hurricane Irma, we had limited time to work with Ashley, but throughout the process, she made us feel incredibly comfortable, and assured that we would be taken care of. Beyond being professional, detail oriented and organized throughout our planning experience, Ashley knows how to orchestrate a tremendous wedding--day of, she was on top of everything, making sure that we adhered to our timeline, she helped us find any items we had misplaced, and she was responsive and communicative when we needed anything. In short, she made us confident that everything was going as we wanted it to! Our outdoor ceremony and cocktail hour were stunning, and our guests could not get over the sweeping views of the ocean. There was no shortage of cocktails or appetizers thanks to Ashley's coordination. 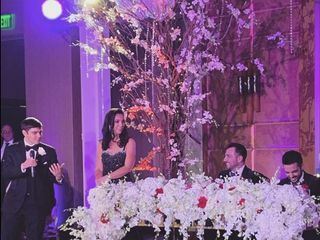 Overall, from the delicious food to the gorgeous ballroom that held our reception, our wedding was flawless. 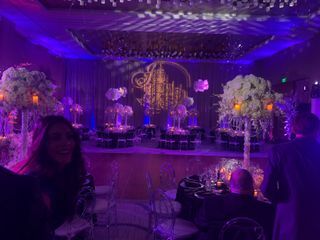 We couldn't be happier to have chosen this venue and I don't believe that there is one more beautiful in South Florida! !